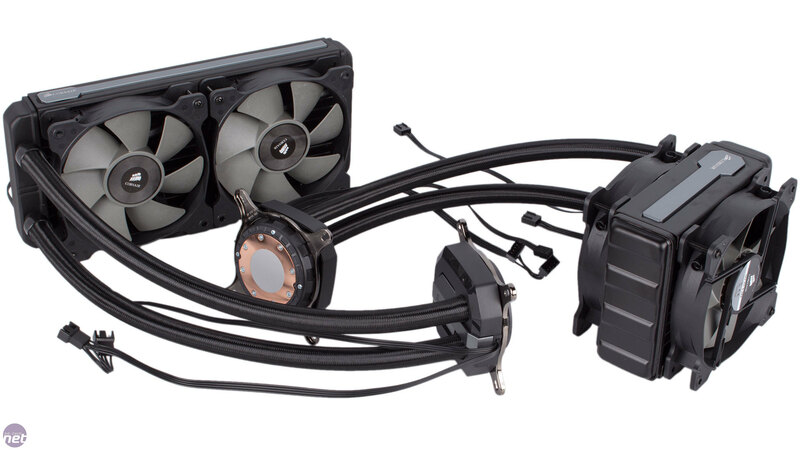 We've tested a few air coolers on our trio of new cooler test systems, but all-in-one liquid coolers have thus far not been given a look in. 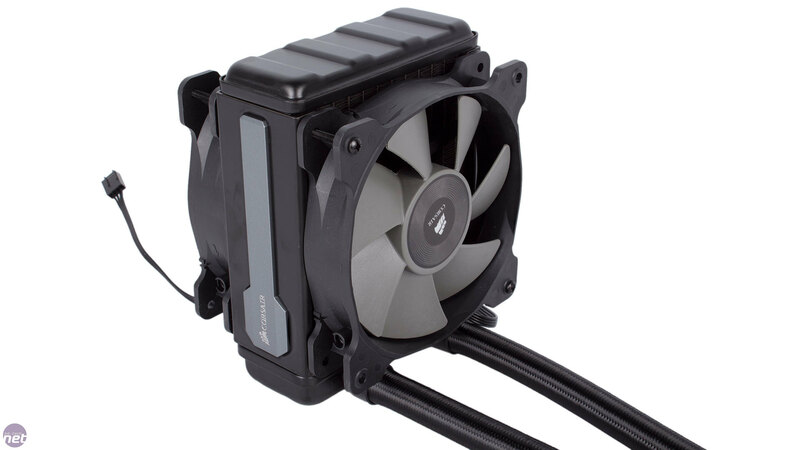 Such coolers purport to offer many of the benefits of custom water-cooling – lower temperatures and noise, mainly – in a package that is significantly cheaper, easier to install and needs zero maintenance. They're not always successful, and with CPUs becoming more and more efficient there's also the argument that they're not as relevant as they once were, although there's certainly still a market for them among enthusiasts, particularly those who like to overclock. 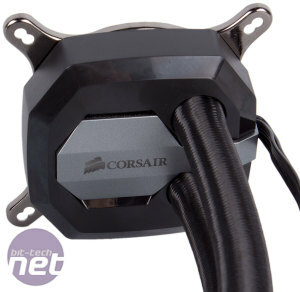 Corsair is probably the most popular manufacturer of all-in-one liquid coolers with its Hydro Series, and its two of the latest models that we're looking at here: the H80i GT and the H100i GTX. The first is based on a single 120mm fan radiator while the latter uses a dual 120mm fan model, and both are the highest end units in Corsair's lineup for their respective radiator sizes. This does mean added cost, but also an upgraded design, feature set and, hopefully, performance. 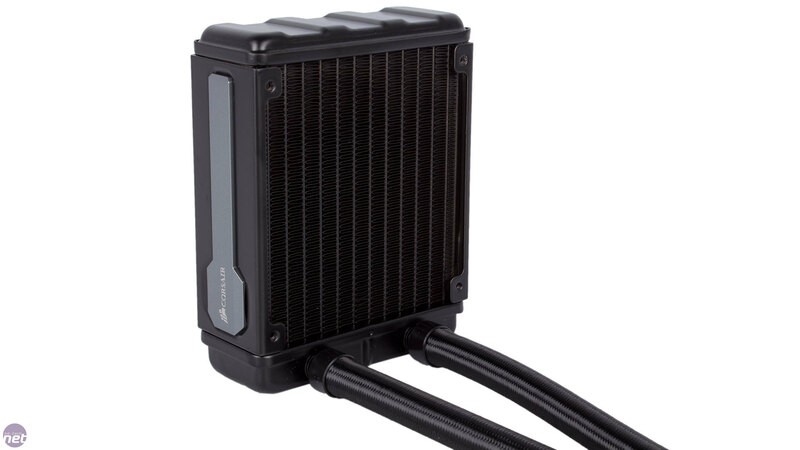 The only real difference between the two coolers is the shape and size of their aluminum radiator, and even there the design is very similar: all black with silver highlights on the sides and a dense fin arrangement. The main difference is the thickness: the H80i GT has a full thickness 49mm radiator, while the H100i GTX sticks to a slimline 30mm design and as such is only about 11 percent bigger by volume. 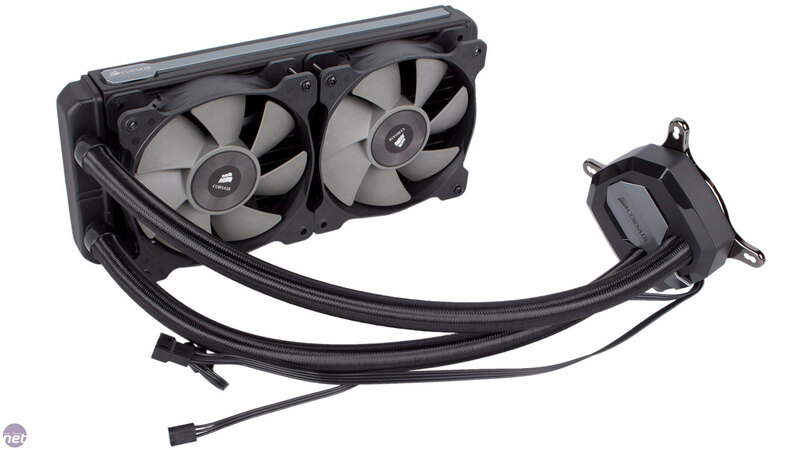 However, its wider and slimmer design should mean that it needs less airflow to be effectively cooled, and it also gives the H100i GTX maximum case compatibility, as many cases that support dual 120mm radiators are only designed with slimline models in mind. The quality of the tubing is very high, and it's both thick and long too. 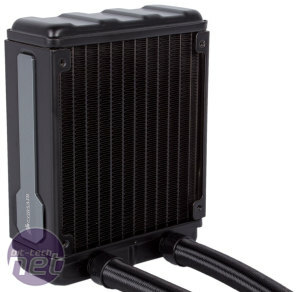 There is practically zero risk of it kinking but equally it's flexible enough when installing the coolers. 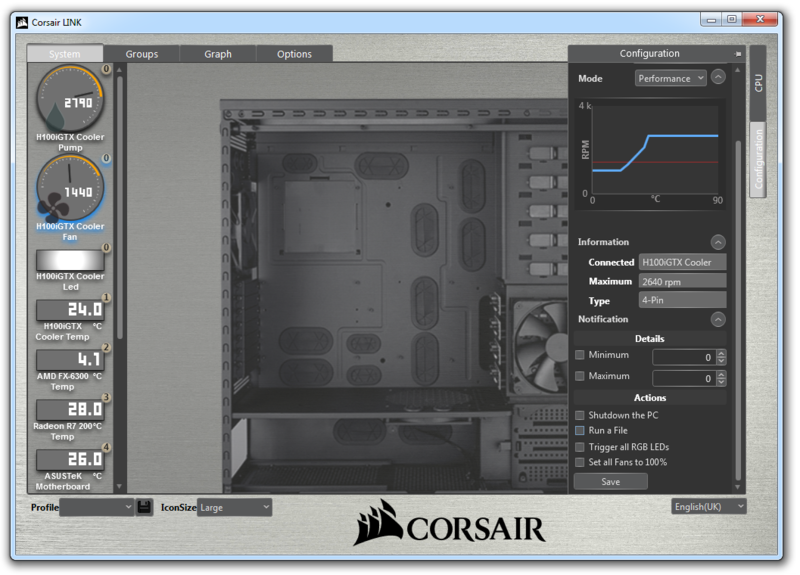 Both coolers are supplied with two of Corsair's SP120L PWM fans, the same as those used in the H75 and H105. Similarly, this means the H80i GT has a push-pull design, while it's push or pull only for the H100i GTX unless you add two more fans. 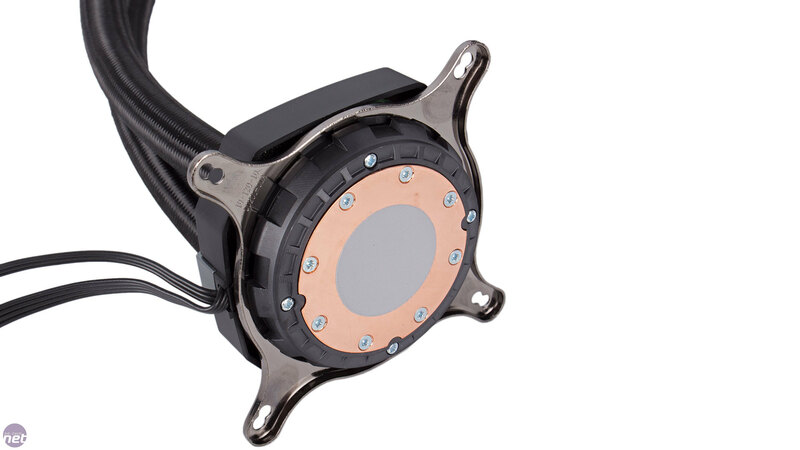 They fans sport seven wide blades designed to provide lots of static pressure and their 4-pin connector is found at the end of a flat black cable. 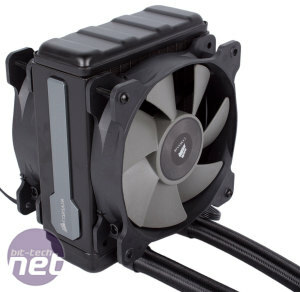 The low-profile pump unit has a plastic cover but is a fairly sturdy affair nonetheless. The logo has an RGB LED behind it and as usual, the unit makes use of a copper contact plate. 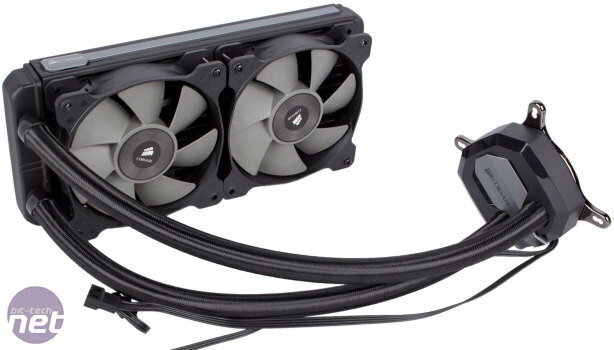 It has two captive cables, one 3-pin header that you connect directly to your motherboard's CPU fan header and a second that ends in two female 4-pin connectors, to which you connect the fans. This is a neat design as it means you only need one header to power everything. 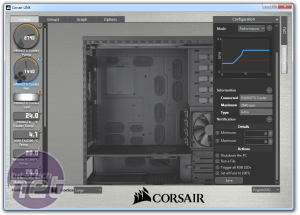 There's also an onboard mini-USB connector, which you can hook up to a USB 2 header on your motherboard using the supplied cable for pump, fan and LED software control using Corsair Link. 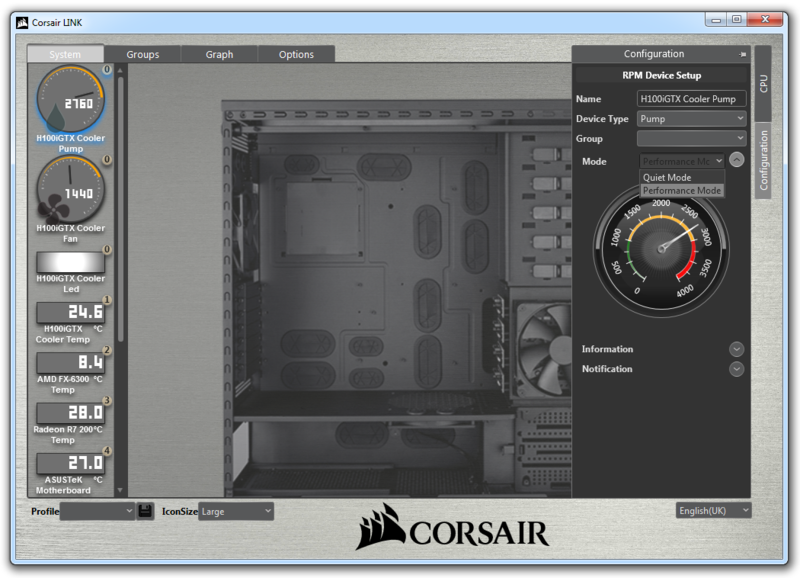 That said, the coolers function fully as plug and play devices. Installation is very easy regardless of socket. 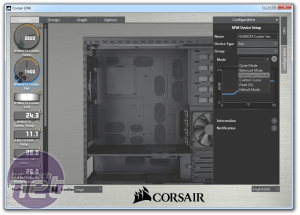 The first step is to attach the double-sided mounting screws – either to the default AMD backplate, directly to the LGA2011 or LGA2011-v3 socket or, for all other Intel users, to the supplied plastic backplate which has pre-attached standoffs. 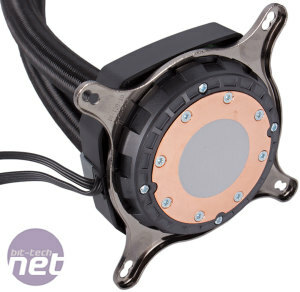 After that, you simply align the pump unit with the screws (thermal paste is pre-applied) and secure it with four thumbscrews – the pump unit has the Intel mounting bracket pre-attached but it's easy to twist off and replace it with the AMD one if necessary. All in all, it's extremely easy, and installing the pump is also tool-free, though you can tighten the screws with a screwdriver, which you'll also need when securing the radiator and fans. Our only gripes here are very minor. For the cost, we'd expect a metal backplate, not a plastic one, although we can't deny that it serves its purpose. You also don't get any extra thermal paste, so if you ever need to remount that'll be an extra expense. 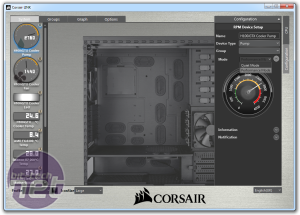 As we mentioned, you can control both coolers using the Corsair Link software. 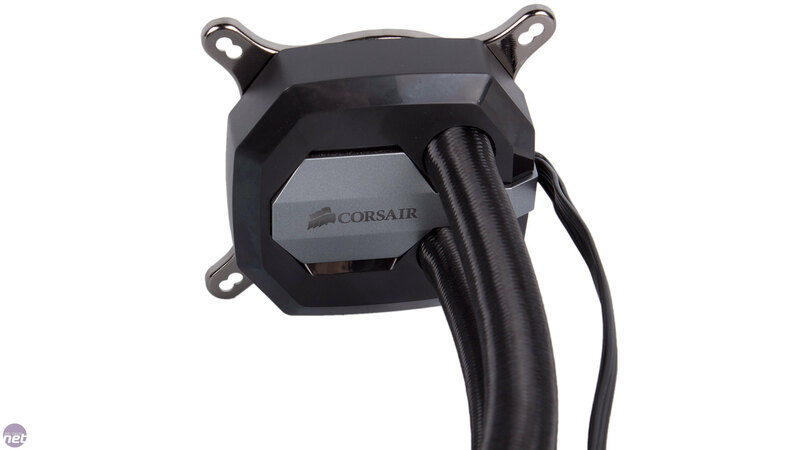 The pump can be set to full speed or Quiet Mode, while the fans have a number of pre-made profiles to choose from, or you can create your own curves. You can also set up temperature-based notifications e.g. if things are getting too hot, automatically put the fans to full speed. 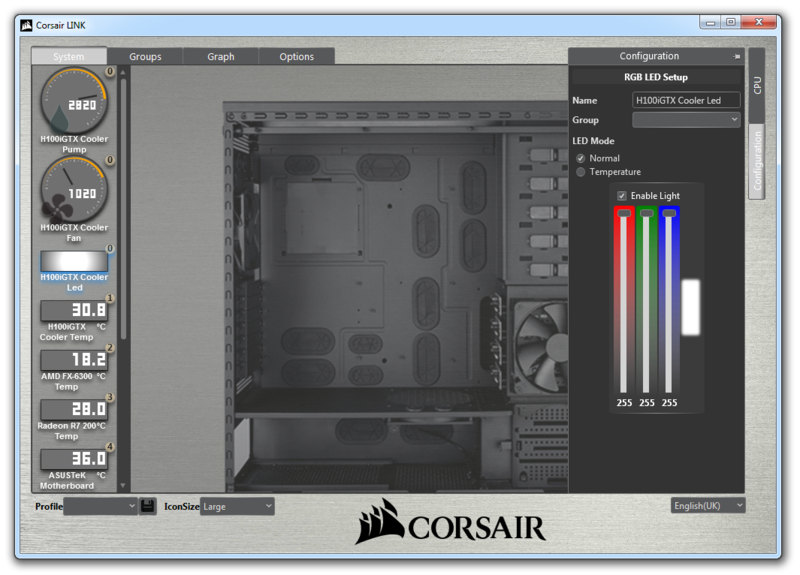 Lastly, you can set the colour of the RGB LED – either to one of your choosing or to change in line with the CPU temperature.